It is all too easy to lose sight of a happy life. With the stresses that today's world throws in your general direction it's getting more and more difficult to keep a positive outlook. In fact, for a lot of people, it has become almost impossible to stay happy. That can be really dangerous. 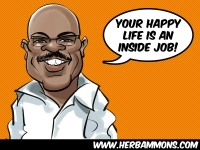 When you allow yourself to let your "happy" to slip away, you are basically allowing life to pass you by. This can be devastating years later when you finally find your happy life again. You will never get those years back. If you allow yourself to slip into a preventable depression, you could be losing out on many potential joyful memories, meaningful experiences, and loving relationships. Instead, you want to find a way to hang onto a happy life even through the most difficult circumstances. Many people lose sight of their happiness because some hard times have hit them. By keeping yourself in a happy frame of mind, you are staying strong so that you can handle more adverse circumstances in stride. If you are not solidly rooted in a foundation of happiness these circumstances can severely knock your happiness and self-confidence. You want to increase your self-confidence, create a stronger support network, and build rejuvenating activities and relationships that help to fuel your happiness. You want to build yourself up. To download this flyer, right-click on the link for the format you want to use and choose "Save as" or "Save link as," depending on your browser. Choose where you want the content stored on your computer, and then just save the file. How do you do all of that? I have broken down this amazing process into four phases. • So by following Einstein’s advice, one of first things that you must do to create a happy life is to "learn from yesterday." By learning from your past experiences, you can take steps forward that will change your circumstances. You do not want to repeat the same mistakes, but you do want to celebrate and repeat your successes. Learn from your past to create your future. • Additionally you want to "live for today." It is very easy to get bogged down in the negatives and simply find yourself wishing for the days to pass you by. However, that is one of the biggest mistakes that you can make when trying to create a happy life. Instead, you want to embrace each moment and experience that you are given. These experiences will not repeat themselves again so you need to celebrate them good or bad. • Having a strong "hope for tomorrow" can also help you get that happy life that you are longing for. Though your current circumstances may be far from desirable, you can change them. Remember, every moment is an opportunity to change those circumstances, and keeping that in mind will help you get that happy life that you've been looking for. 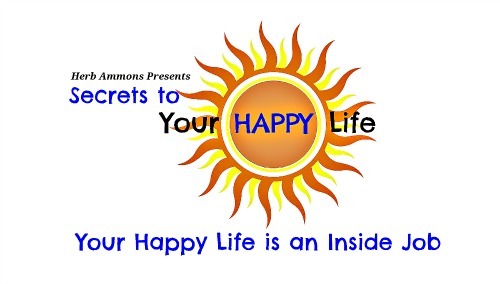 • Finally, you must realize that "your happy life is an inside job." No one will be able to create happiness for yourself except for you. Thankfully, you have the power to create it. Remember, you too can have a happy life.